SO, what does a man who regularly has four million volts run through him look like up close? Well, sitting across a table from The Lords Of Lightning at a pub in east London, just yards from where they will be performing at Arcadia this weekend, I have to report the look is remarkably unfried. 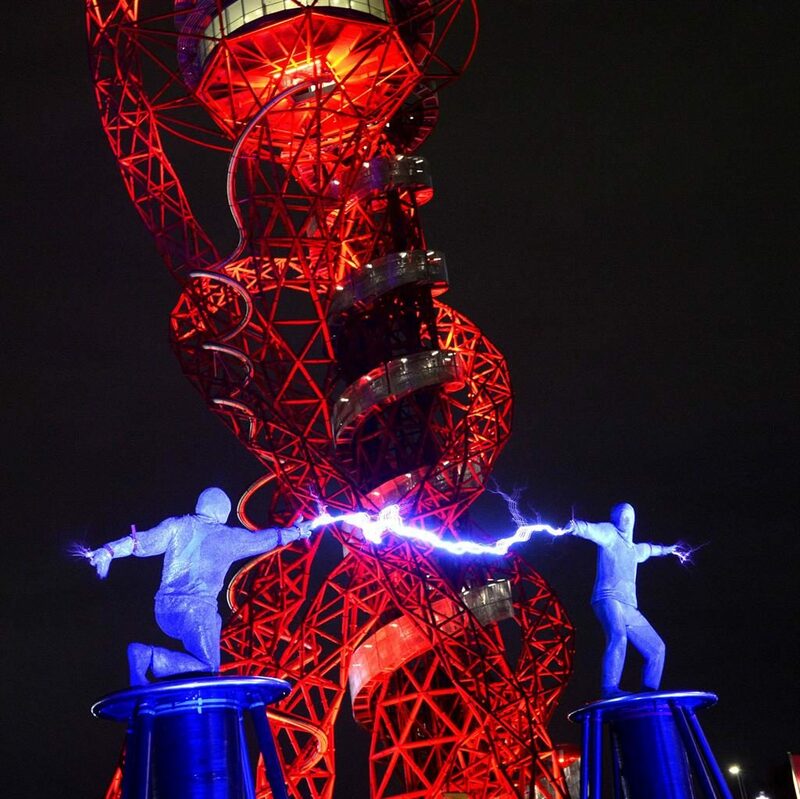 In fact, Kino McDonald and Joshua Leighton-Trew, two acrobats who perform wearing 15kg chain-mail anti-shark suits — allowing four million volts to light them up, frazzle all over them and then come out of their fingertips as they toss lightning bolts to each other — look pretty good. And there’s not even a whiff of burnt toast. 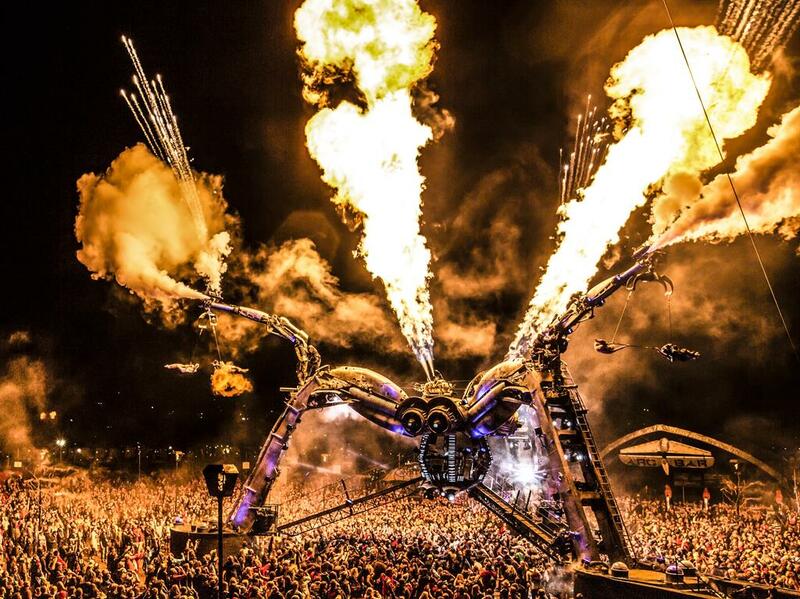 The Lords Of Lightning are an integral part of the team that makes up Arcadia which, as anyone who has been to Glastonbury over the last ten years will know, are the troupe that use repurposed military hardware to create huge fire-breathing bugs on top of which DJs perform. And now that Glastonbury is taking a year off, the Arcadia crew are rolling into London for their own festival, bringing the best of what they’ve done at other shows together with some spectacular new bits to celebrate their tenth anniversary. Arcadia is the brainchild of engineer Bertie Cole and Pip Rush Jansen, a scrap-metal sculptor. They knew each other at school and, when they ran into each other at a gig in Spain, bemoaned the fact that there ‘wasn’t much love going into the visual side’ of music festivals. Ten years on, Arcadia is a roving phenomenon that gets invited all over the world. But this first outing in London — featuring the likes of Leftfield, Sven Vath, Groove Armada and Rudimental — is set to be pretty special even by their standards. For a start they are bringing over the Whadjuk Noongar aboriginal dancers, who they bonded with while performing in Perth. 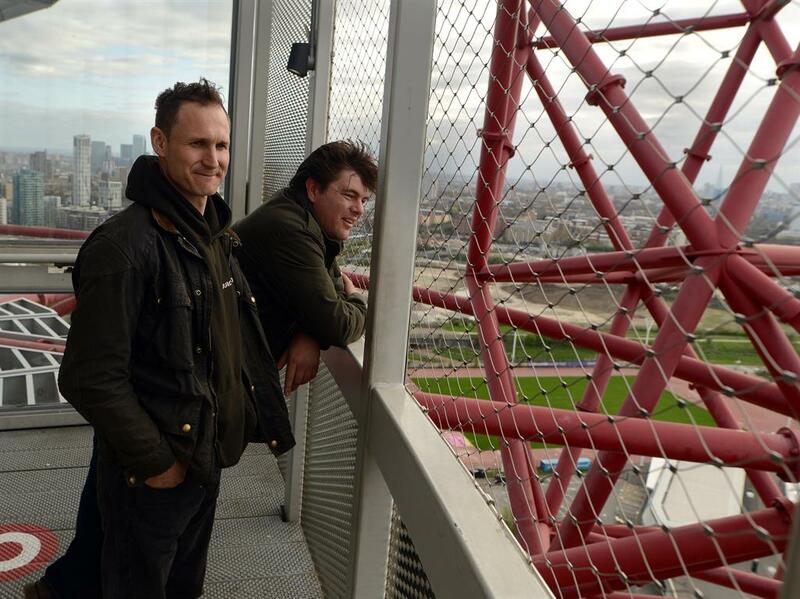 So what can you expect from the set-up at Queen Elizabeth Park, the scene of the London Olympic Games? ‘Well, for a start it’s all in the round and you can sit out on the edges and watch the spectacle, or you can get right in there and dance at the heart of it all and actually feel the impact in your body,’ Bertie tells us.